Around Town: Its finally feeling like June! | The House of Martins The House of Martins: Around Town: Its finally feeling like June! Around Town: Its finally feeling like June! Hi my honeybees - here are some items to think about in Sacramento next week and next weekend. Planning something fun makes time fly! Metro Edge is planning its 2nd annual Dodgeball Tourney. Deadline to register is June 15 (the event is on the 18th) and they have volleyball too. Teams are 10-12 people for dodgeball and 8 for volleyball... so get your team together and sign up. If I wasn't busy that day I'd make a team right now! You can see pictures from last year on the Metro Edge Facebook page. One of my favorite restraurants, Gonul's, has moved and changed names. It's now Vanilla Bean Bistro and has moved near 33rd and J St in the same spot that used to be Formoli's (and Formoli's moved to where Gonul's was at 39th and J St.) I am super excited to try out Gonul Blum's new bistro -- but I'm also excited to be able to walk to Formoli's. This seems like a win win. 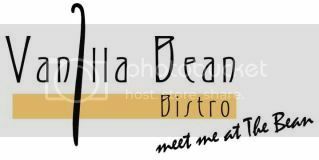 I'll be sure to report back on the Vanilla Bean Bistro! 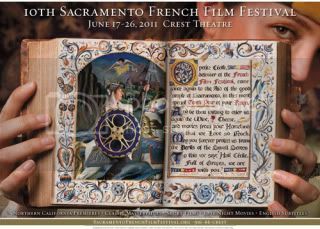 June 17 marks the start of the 10th Annual Sacramento French Film Festival. The trailer for opening night "Names of Love" looks pretty good. You can see the whole schedule on the Crest Theaters website. If you are a Crocker Art Museum member (like me) you get a discount on tickets to the individual films. I love the poster for the festival too - such a pretty vintage book!